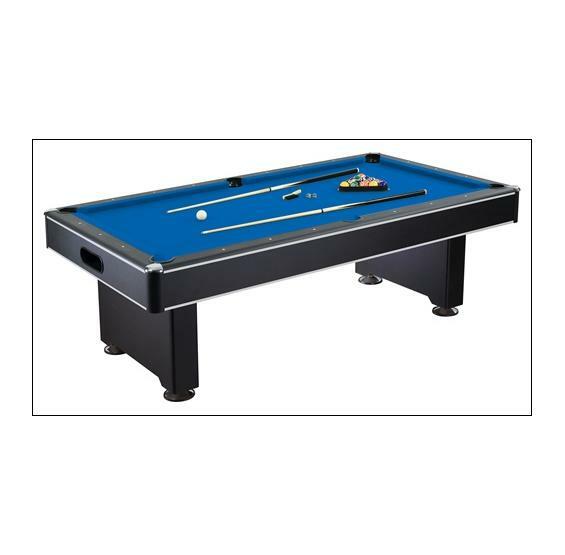 CARMELLI™ “HUSTLER” 7 FOOT & 8 FOOT POOL TABLES SAME QUALITY AS ELIMINATOR TABLES FROM IMPERIAL FREE SHIPPING! Beware of tables featuring "Slate Core". Slate Core is not slate, it is particle board. It is not even close to the quality of a real slate bed table. Our Hustler line of pool tables offer the type of style, quality and durability you expect from Carmelli™ games. 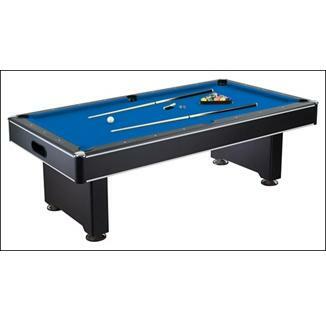 This entry level billiards table is much higher quality than "game table" style pool tables. Carmelli’s™ Hustler table has a strong and rugged structure that ensures true billiard fun & solid performance. The ¾" "CARB" certified MDF playing bed provides great accuracy & a true ball roll; it is covered with stylish blue felt. 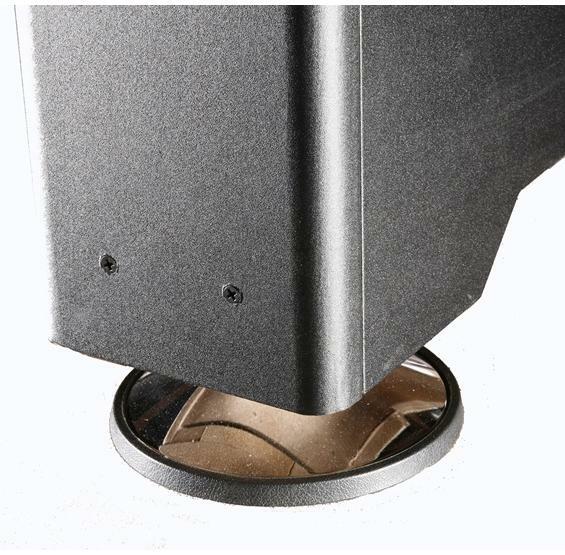 The sturdy black cabinet includes sturdy pedestal-style legs with levelers for stable rolling action. The integral ball return system makes re-racking a breeze. Whether hitting a corner shot or leaning on the table using the bridge- you will notice the quality built into this great table. The Hustler is available in 7 ft and 8 ft models.